What Mississippi Workers’ Compensation Benefits Are You Entitled To? | Merkel & Cocke, P.A. What Mississippi Workers’ Compensation Benefits Are You Entitled To? 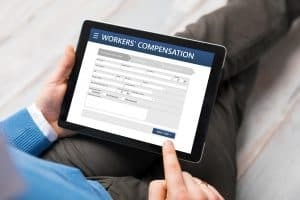 Home/Worker's Compensation/What Mississippi Workers’ Compensation Benefits Are You Entitled To? Injured or ill workers are not entitled to pain and suffering like victims of personal injury accidents. The starting point for determining how much weekly pay a worker should get is the worker’s average weekly wage (AWW). For workers who have been with an employer for more than a year, the AWW is their yearly salary (including overtime) divided by 52. For workers who haven’t been with an employer long, the AWW is their total earnings divided by the number of weeks they worked so far. Temporary disability. This benefit if for workers who can’t work at all but haven’t reached their maximum medical improvement. Workers don’t receive the full amount of their average weekly wage. They receive 2/3 of the AWW for as long as they cannot work – up to 450 weeks. Workers can’t be paid more than a preset maximum per week. Maximum medical improvement means the worker isn’t expected to improve his/her health with additional medical treatments. Partial permanent disability. Once a worker reaches MMI, he/she may be entitled to additional pay if they have a permanent impairment. A doctor applies American Medical Association standards to determine the type of impairment a worker has and the severity (rating) of the impairment. For example, a worker may not be able to use a hand completely. The doctor will first verify that it is the hand that can’t function. The doctor will then assign a percentage loss of use because the worker can do some things but can’t do other things. The doctor might say the worker has lost 30% of his/her ability to use the hand. Workers are paid 150 weeks for the full loss of the use of a hand, according to Mississippi law. A worker who loses 30% of the use of his hand, is awarded 30% of 150 weeks = 45 weeks additional pay. So, the worker receives 45 x 2/3 x the average weekly wage or 30 weeks’ wages. In Mississippi, workers can also be paid up to $5000 for serious head or facial disfigurement. Workers are entitled to have all their reasonable and necessary medical bills paid. These payments include surgeries, doctor visits, treatments with therapists and psychologists, medications, and the cost of medical equipment. The employee has the right to have these bills paid for as long as the treatment will either improve or maintain the worker’s health – even if the employee returns to work. Additionally, the employee should ask to be reimbursed for travel costs to and from the healthcare providers. For some workers, it becomes clear the employee can’t return to any job unless he/she is retrained. Workers should review with their work injury lawyer what type of retraining is permitted and what benefits in addition to instructional courses should be paid. The Mississippi workers’ compensation lawyers at Merkel & Cocke, P.A. have been fighting for injured workers since 1982. We contest efforts by employers to force you back to work too soon. We fight to get employees all the benefits they’ve rightfully earned. For help with any work injury claim, call us at 662-799-1633 or complete our contact form to schedule a free consultation. From our offices in Jackson, Clarksdale, and Oxford, we represent clients throughout Mississippi, including in Tupelo and throughout the Gulf Coast Region.